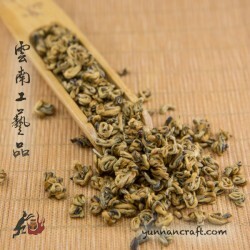 One bud and small tea leaf rolled into the snail shape. 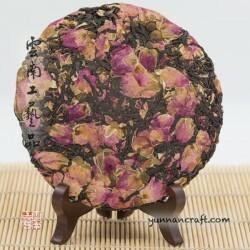 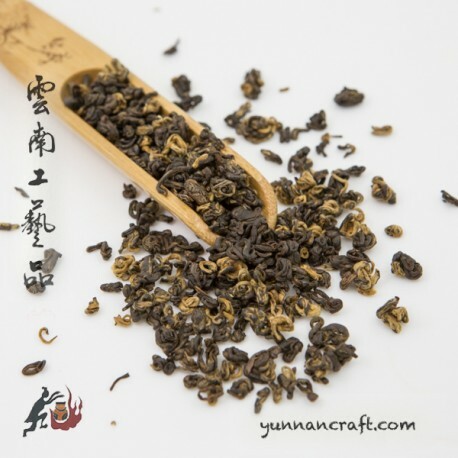 As , traditional way of shaping tea leafs usual for green bi luo chun, this method of rolling the leafs also proved to be very useful in matter of preserving flavor. 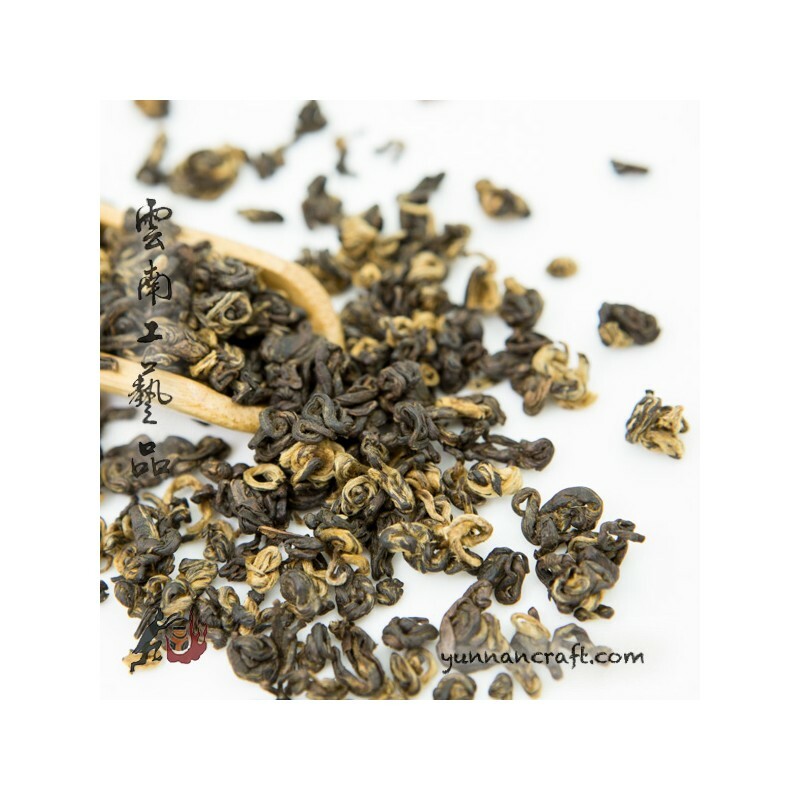 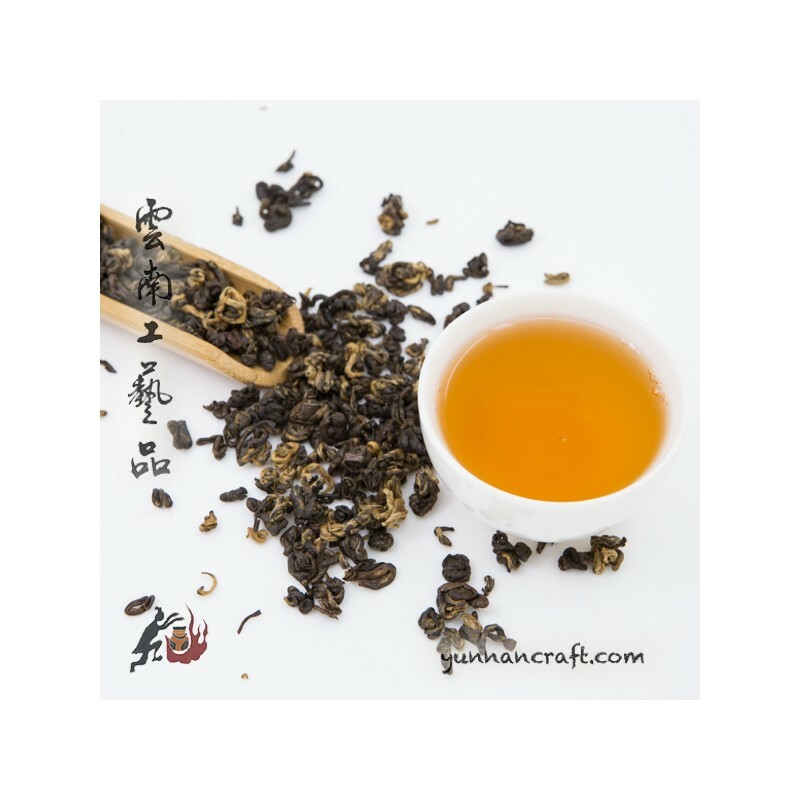 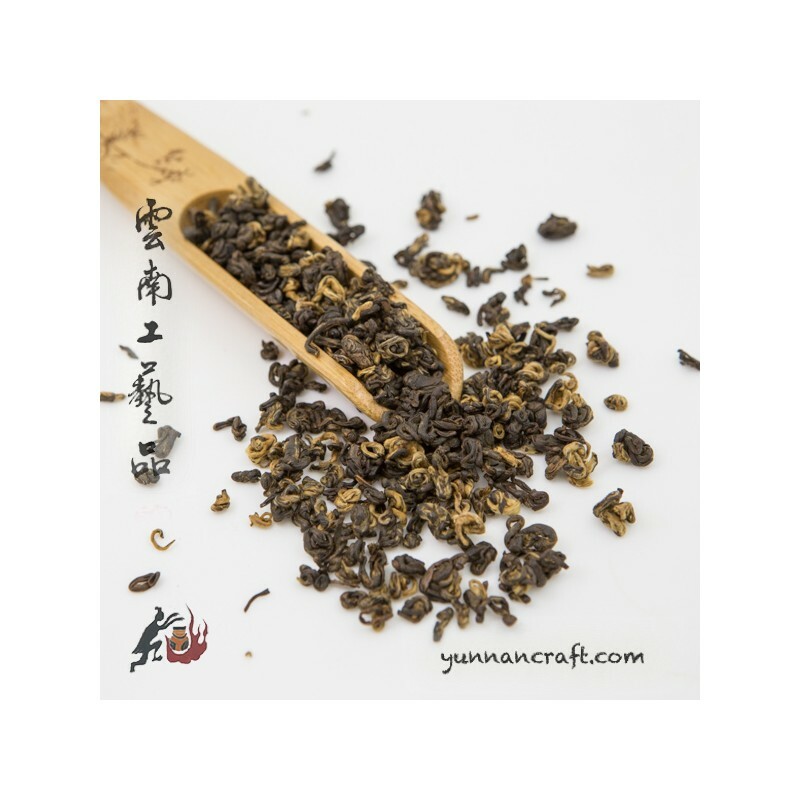 Honey notes with woody characteristics in overall sweet body , rich in flavor tea liqour made spring Simao leafs is the organic certified version of our regular Simao Jin Luo.